We recently reported that Hyundai's N Performance division was looking to build a Ford Focus RS rival based on the RN30 concept. Hyundai hinted that the RS rival could have around 375 hp. Now, Auto Express reports that Hyundai also wants to build a rival for the Ford Fiesta ST called the i20 N. The i30 N is the first N model slated for production. 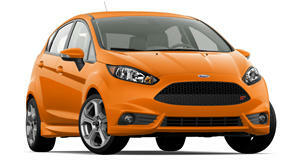 This will be a hot hatchback that will compete against the Ford Focus ST and Volkswagen Golf GTI among others. Yet, we still haven't seen a single production-ready car from the N division. We've been trying to put together the pieces of Hyundai's plan for the N division. It appears that after the i30 N, the priority will be a Veloster N (which may be the first N model sold in the US) and a five-door version of the i30 N. After these hit the market, Hyundai will start working on the i20 N. The car will likely be FWD and have around 200 hp from a 1.6-liter turbocharged engine. We really like the idea of having a small hatchback to rival the Fiesta ST, but our confidence level in Hyundai is extremely low. Not only has Hyundai disappointed on its "sporty" models in the past, but the N division has yet to build a concept that looks remotely like a production car. We haven't even seen the first N car, and the company is already talking about the third and even fourth models. This whole situation is starting to feel a lot like Alfa Romeo with its ambitious plan to release several new models in the US. There is still only one legitimate Alfa Romeo model (apart from the specialized 4C), and we can only see the same fate for the Hyundai N division at this point.